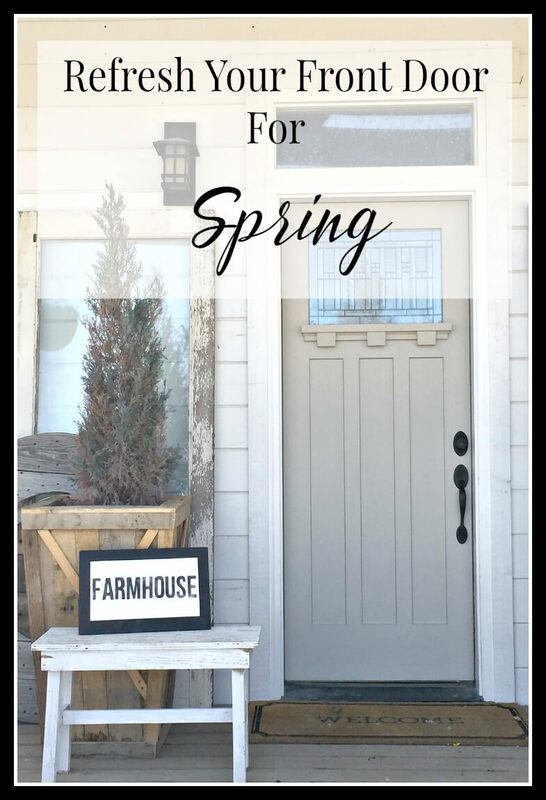 The weather is warming up, the birds are chirping, it is time to refresh your front door for spring. This is such a great way to freshen up your home for the spring and summer months. 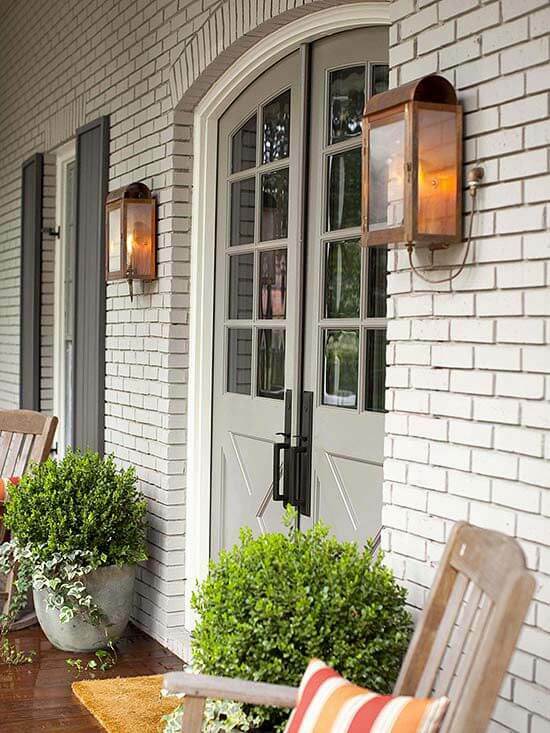 Refreshing your front door by painting it is an excellent way to make a huge change to the front of your home without spending a lot or committing to something permanent. Paint is so easily changed. 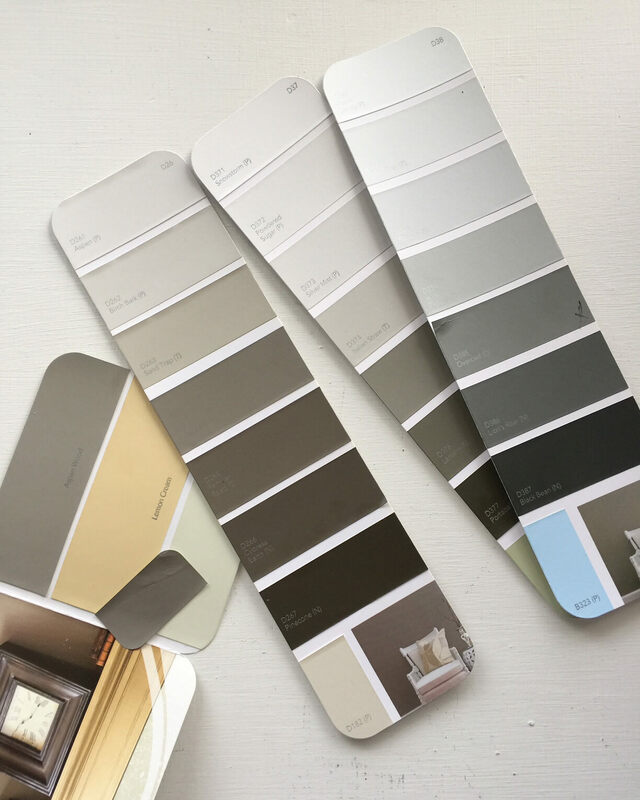 The first thing I did when thinking about updating my front door color was to research a bit to find what I was drawn to. This spring I am drawn to these lovely light and soothing colors found in these pictures I discovered on Pinterest. 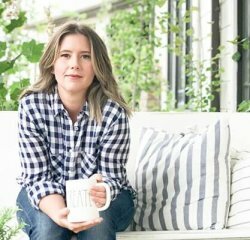 I really love the light and uplifting feel I gain when I see them and against the white exterior of the homes, it is perfect for what I want. I ran to my hardware store True Value and grabbed some paint samples. I was immediately drawn to the lighter colors at the top of the picture. Here is a quick picture of what my door looked like before I got a hold of it. Don’t get me wrong, I love the color it is. I picked it for a reason. But the saying holds….”out with the old, in with the new.” I love to change things up. 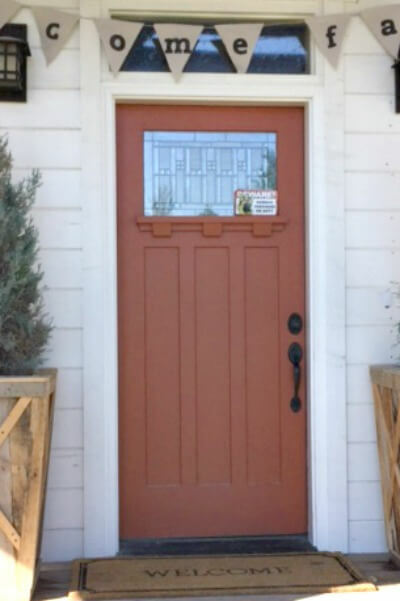 Painting a door is way easier and more inexpensive than painting the whole house or replacing the door itself. It only takes about an hour to paint it. In the grand scheme of things, it is not a a huge project. Give your door a good cleaning with warm soapy water. Make sure it is thoroughly dry before you start painting. Start by painting any parts of the door that are recessed. In this picture, the parts that are shaded orange are the parts I paint first. I like to paint any tight details or recessed panels first. I then move along to painting the rest of the door, taking into account the direction the grain is running(if your door is wood or fiberglass with a wood grain like mine). You can definitely tape off the door handles, but it is actually really easy to paint around the handles with an angled brush and if you chance to get a little paint of the handle, it is easily wiped off when wet or you can scrape it off when it is dry. Like with any pint job, make sure the first coat is dry. The reason being that if the first coat is not completely dry, when you got o apply the second coat, the paint underneath may clump up and create some unsightly featured to your paint job. I love the way the color of the door compliments the rest of my front porch decor. It is a fresh color for spring. 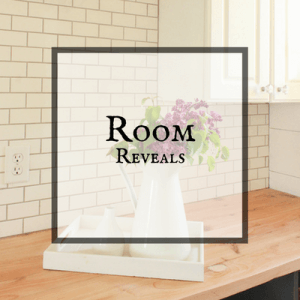 I really think this is a great way to update your home, especially if you are felling in kind of a design rut. It can open many new ideas to you and to the things you can do to your home. 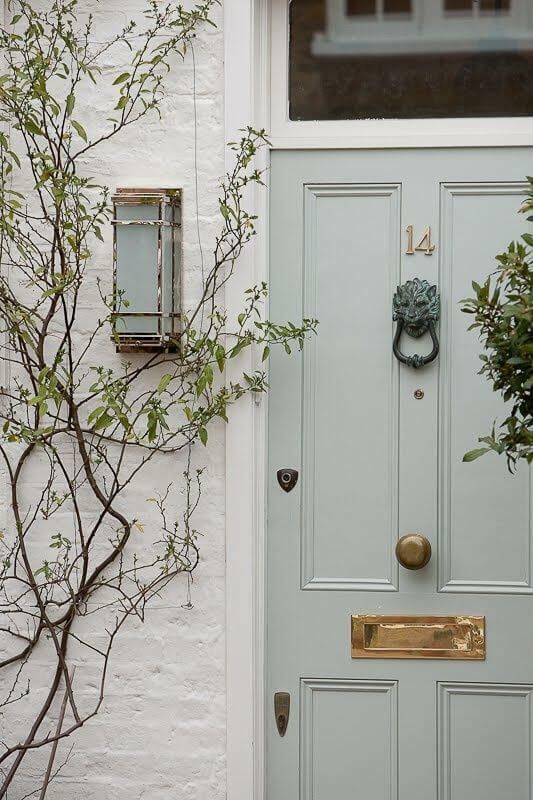 So if you’re looking for a way to wake up your home from the dull winter blues, refresh your front door for spring. You will be happy you did. Thanks for stopping by and remember…. It’s absolutely beautiful! My front door and porch could use a refreshing! Thank you for the inspiration. Thank you and you are so welcome! Thanks for stopping by! You have totally inspired me to repaint my front door. I love the current color but it is worn so why not change it? I plan on painting it my new favorite color….aqua! Yours looks lovely….what a pretty door to begin with! That’s fantastic! Aqua sounds great! Good luck! It’s amazing what a color and hardware change can make. Pinned and shared. Thanks for linking up at #ThursdayFavoriteThings! I hope you will join me Monday at #OverTheMoon! Everything you share is so lovely Sara! What a pretty front porch. 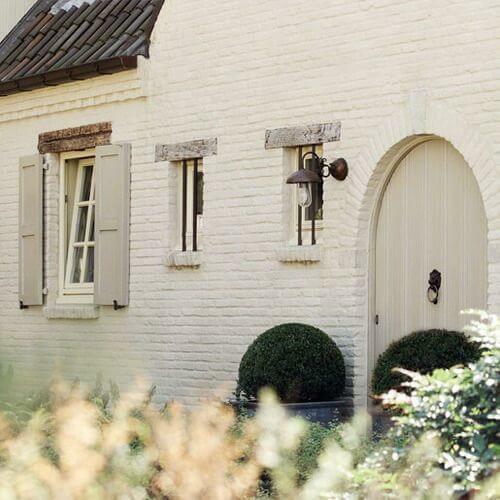 I never thought of simply painting the door to give my house a new look. Thanks for sharing and for linking up with us at #TALENTEDTuesday. Thanks so much! I think sometimes we thing we need to do big, expensive and extravagant things to make a difference, but it is small subtle changes that make a big difference. Thanks for stopping by! You shared some beautiful inspiration with this post of yours. I especially like your minimal spring door style. 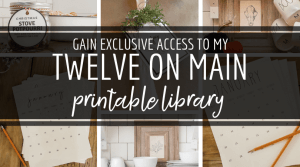 I selected your blog as one of the highlighted features from last weeks Thursday Favorite Things Blog Hop. Thank you so much for the feature! Will come check it out! Have a great day! Hi! 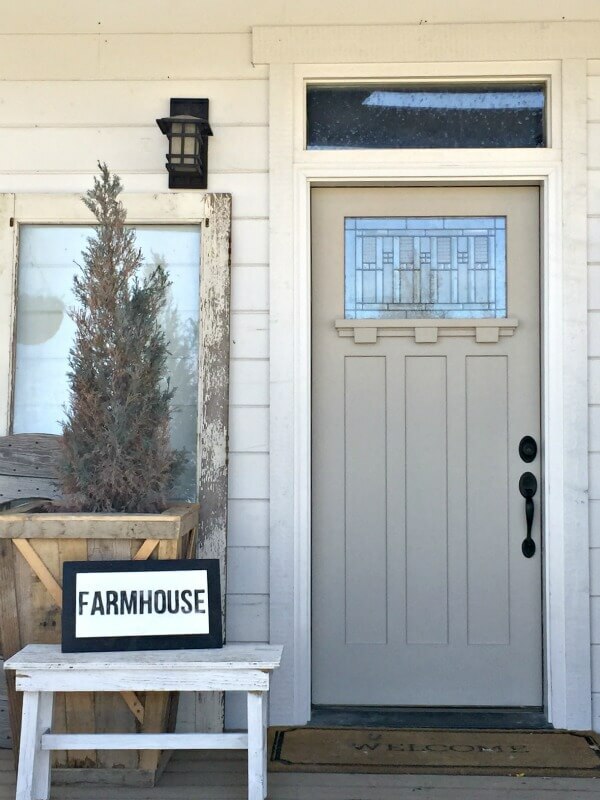 What brand is the paint of the front door? It is called sand trap? Love it! Yes it is called Sand Trap from True Value. Thanks! 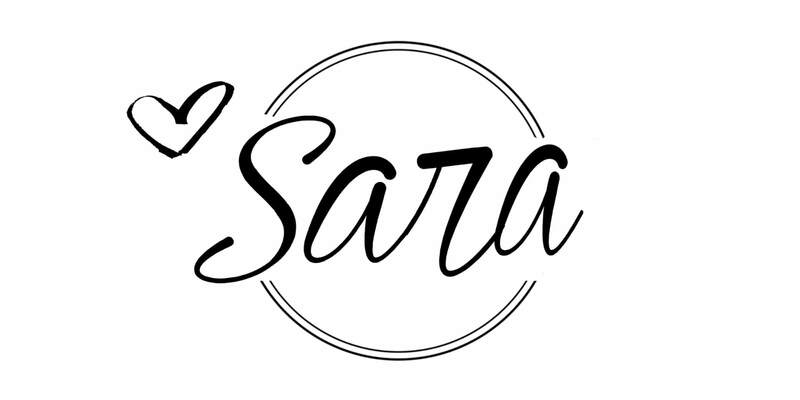 Beautiful update Sara! While the old color is really pretty, I find the new one very refreshing as well. Maybe painting the door is what we need to do to spruce up our home! Thanks for sharing! Thanks Rachel! 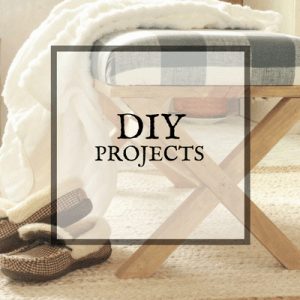 It is an inexpensive and easy project with big impact! Beautiful update Sara! While the old color is really pretty, I find the new one very refreshing as well. Maybe painting the door is what we need to do to spruce up our home! Thanks for sharing the inspiration! Thanks Rachel! Its a simple and inexpensive project that makes a huge impact! Thanks for sharing such a great post. I think now I need to work on front door of my home. It will definitely change the look of the house.